We have looked at how a word can carry many meanings to different people. Or how the story of a city can be not only a tale of two cities but of many cities all existing together in the same place, at the same time. Chance wanderings can discover different aspects of a concept or a place. Take the word Unity for example. The detail above is from Holyoake Hall which was built as a Co-operative store in 1914. The co-operative movement’s history, beginning in Rochdale in 1844. That movement has its own history which would see how a group of working men set up a way of sharing profits (dividends) by controlling the retail of food and vital items. Further back, we’d see how Robert Owen’s experiment with New Lanark tried to soften the poverty and hunger of working people. In the next post here we’ll see some figures showing how desperate the times were for ordinary working people. A sign, a building can be the starting point to go deeper and deeper into history. 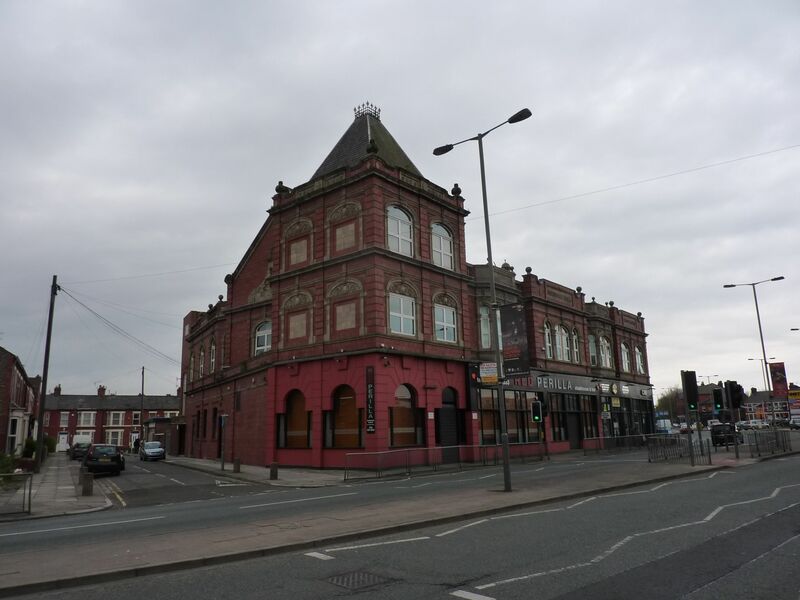 The Hall here, where Allerton Road joins Smithdown, is only yards from Penny Lane. 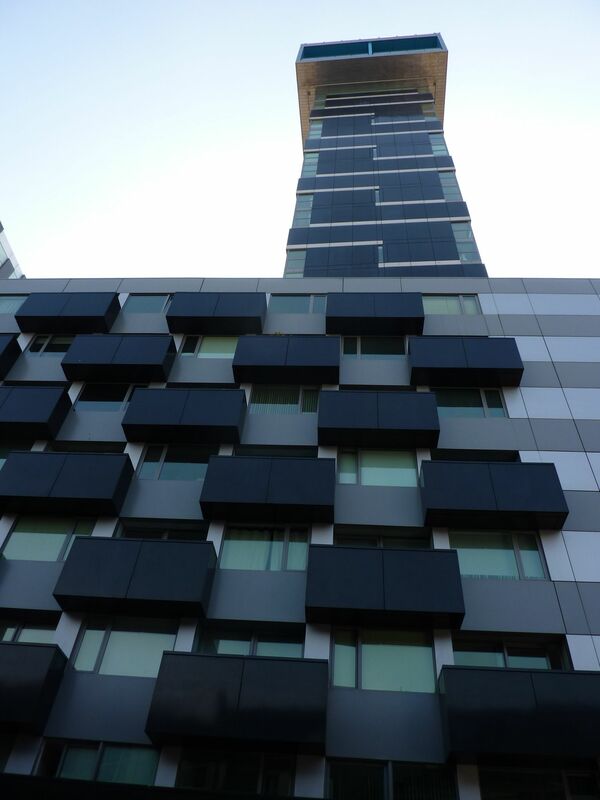 It’s now apartments, but after it ceased trading as a shop it became a venue for dancing and music. The Beatles played here on the 15th and 22nd July 1962. 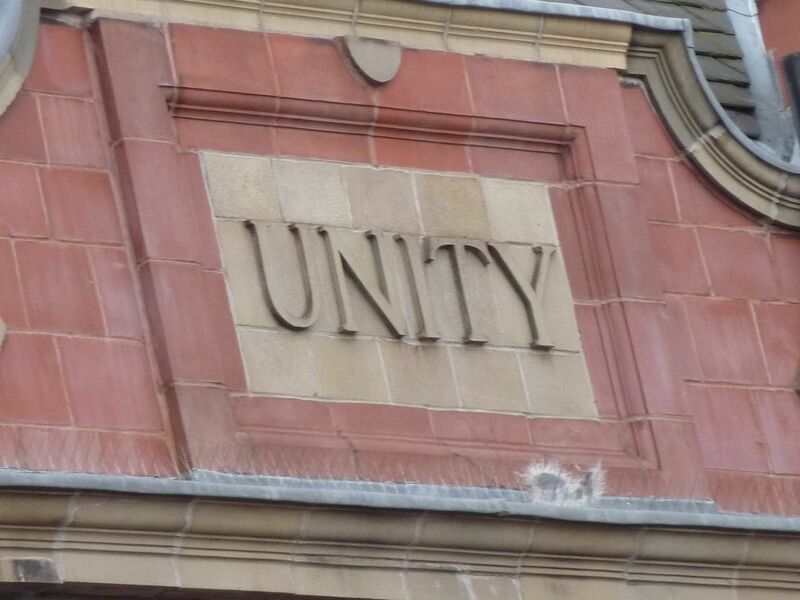 In Hope Place stands the Unity Theatre. These days it has well deserved reputation for putting on innovative and varied productions, and encouraging new initiatives. Merseyside Moviola, the early precursor to FACT began showing 16 mm. films there. 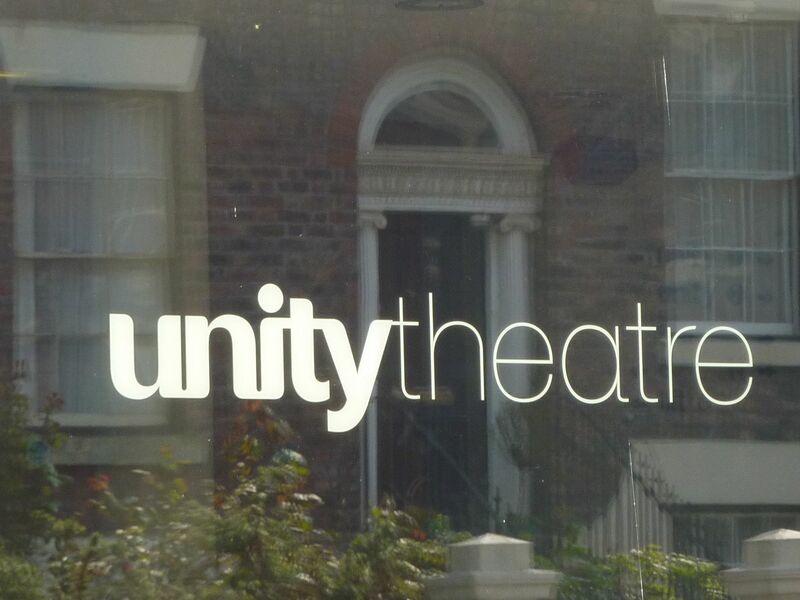 The original concept of the theatre, when it was Merseyside Left Theatre, becoming Merseyside Unity Theatre in the 1930s, related to the national workers’ theatre movement which produced radical political plays and is noted for its anti-nazi emphasis.